When we use a substance frequently, we create certain myths that make us feel better about our use. When these myths become the norm, it’s time to re-access things. 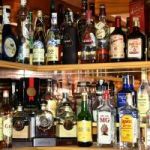 So it is with alcohol: much of the conventional “wisdom” we learn about alcohol use from our friends and classmates is misleading at best and dangerous at worst. It is normal to want to learn how to help an alcoholic if you see a dear friend or a loved one slowly ruin his life with excessive alcohol drinking. In other words, just because your friends believe that drinking alcohol 7 nights of the week, shot-gunning beers, or seeing who can rip the most shots is normal, it might, well, not be. 1. Best hangover treatment: the hair of the dog. In other words, have another drink. Some people swear that this method alleviates their hangover symptoms, which it may, temporarily, because the additional drink produces another buzz. However, once the effects of the alcohol wear off, you find yourself with an even worse hangover than before. 2. Alcohol can be “soaked up” by food. There’s something aesthetically pleasing about the idea that a piece of bread (or pizza or a burrito…you get the idea) can somehow absorb the alcohol floating around in your system. Unfortunately, if you are drunk, the alcohol has already been absorbed by your digestive system. Therefore, even if food did have the ability to somehow “soak up” alcohol, the alcohol has long since left your stomach by the time food gets in there. 3. Beer before liquor, never been sicker; liquor before beer, you’re in the clear. This line of frat boy poetry may be fun to say, but it lacks any scientific backing. What really affects your level of intoxication is the number of drinks you consume, with a drink being 12 oz of beer, 4 oz of wine, or 1.5 oz of hard alcohol. However, there is an ounce of truth in this goofy adage: once you are intoxicated, drinking hard alcohol is an especially bad idea, as such a small amount of liquid constitutes a drink. Therefore, if you are feeling a buzz, it’s in your best interest to sip on beer rather than vodka. 4. 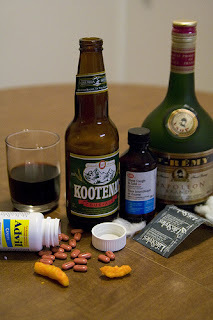 Never pop an ibuprofen while drinking alcohol. While acetaminophen (commonly known as Tylenol) should be avoided while drinking alcohol (or soon afterward), ibuprofen and alcohol are a less concerning combination. However, since both substances can irritate the stomach lining, it is best to limit yourself when consuming both at the same time. 5. Alcoholism is a choice/question of willpower/etc. When it comes to drinking, it’s important to know your family history. 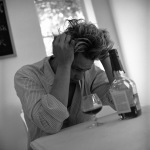 Alcoholics tend to have a certain set of genes that make them prone to alcohol addiction. Therefore, two people could drink the same amount with the same frequency, and if one of them has alcoholism genes and the other does not, the former will have a much more difficult time tapering off their drinking than will the latter. Of course, if you’re already an alcoholic you can find help at a Florida Alcohol Rehab center and get the help you need. So, the unfortunate truth is that some people do need to be more careful when it comes to drinking than others. Monitoring your drinking and the effects it has on your life very carefully will help prevent problems before they start. Kay currently writes for AllTreatment, a substance abuse treatment and information directory. You'll see that what you wrote about the second and third myths is somewhat misleading. Alcohol can be soaked up by food, and diluted by water. These are in no way myths. BUT, depending on the person's weight, response times vary.